Although the beef patties were already preservative-free (seasoned only with salt and pepper), the new change primarily affect the sandwiches’ buns (remember Subway bread and yoga mats? ), sauce, and cheese. 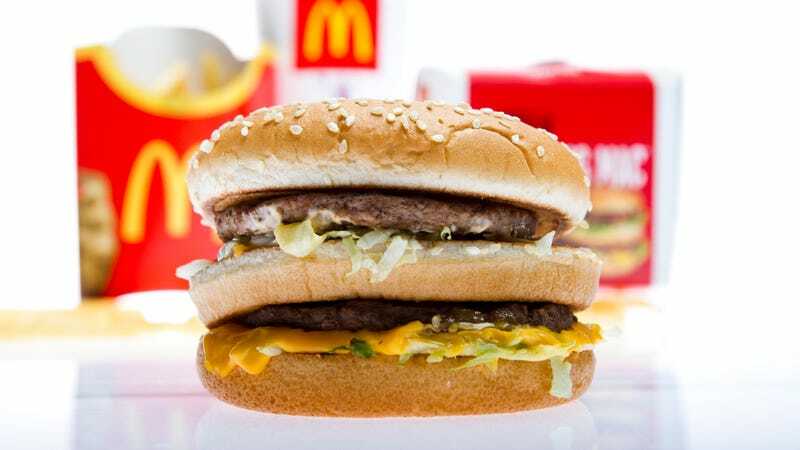 For example, the company has removed calcium propionate, which “used to be in all of the company’s core buns,” says McDonald’s chef Mike Lingo. Since that additive helps prevent mold, individual McDonald’s are “taking a lot of steps at the restaurant level on top of that,” says Lingo, “to make sure that they’re pulling out only as much as they need for that day.” Similarly, sorbic acid has been pulled from American Cheese for the cheeseburgers and “artificial preservatives including potassium sorbate, sodium benzoate and calcium disodium EDTA” from the special sauce of the Big Mac.